Today Sony's Seed Acceleration Program (SAP) sees the launch of its first business in Europe: Nimway. 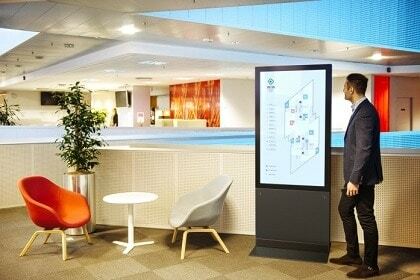 Nimway is a solution that solves common office problems such as guiding you to your next meeting, finding available meeting rooms, and locating your colleagues. It also provides invaluable insights to management how the office is actually being used. Nimway development started several years ago by a small group of Sony Mobile Communications ("Sony Mobile") user experience designers in collaboration with research engineers to solve the internal problems of navigating between several different buildings, locating colleagues and finding available meeting rooms in the activity based working landscape. 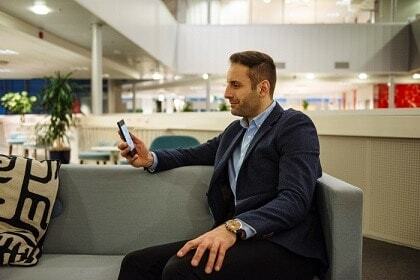 It became apparent through conversations with prospective customers that many companies are facing these problems and that employees waste significant time every day on meeting and wayfinding related inefficiencies. "A digitalized work place can lead to improved facility use, higher productivity and even new innovations. With Nimway, Sony is combining our vast consumer know-how with our technology skills and our passion for providing high quality solutions to enterprises." Lars-Gunnar Lundgren, Senior Business Manager, Nimway. The Nimway solution uses mobile applications for Android and iPhone in combination with digital floorplans placed at strategic hotspots in your buildings. 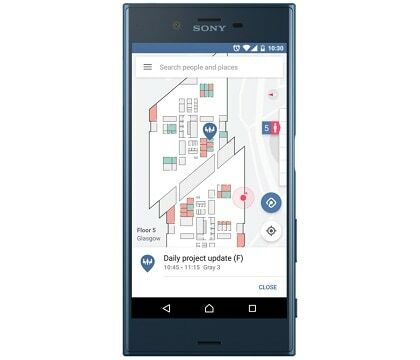 Nimway is based on Sony's world class indoor positioning technology powered by Bluetooth beacons and wireless occupancy sensors. Employees use their mobile device to quickly find their way to a meeting room or colleague. 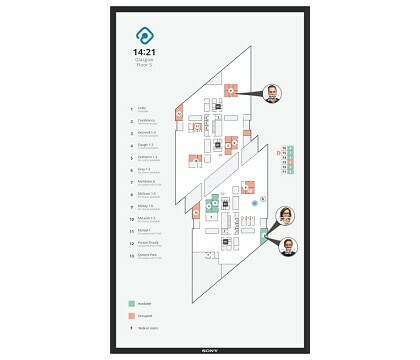 Just walking by a digital floorplan will also provide personalized information about your upcoming meetings, helping you to get there in time without an effort. Facility management benefits from the solution by being able to make data driven decisions using the Nimway data analytics tool. Nimway monitors the room and area usage in a privacy friendly way. It informs facility management how the office is being used and sends alerts if there is a need for additional meeting rooms or if there are underutilized areas. Nimway has improved the total room utilization by making the employees more aware of all free rooms throughout the buildings. Nimway provides digital tools that support the new, more flexible way of working, meeting the challenges that may arise in transition towards activity based workplaces and making larger spaces more intuitive. Sony will roll out the Nimway solution in European countries starting today. It is actively used at Sony Mobile's R&D site as well as at strategic customers in the public and private sectors, ensuring a high quality product now ready for large scale commercialization. For more information please visit Nimway website. The SAP was first launched in Japan in April 2014 as a start-up incubation ecosystem, which looked to fast track promising new business ideas proposed by Sony group employees into fully-fledged businesses and deliver further innovation. In Japan 12 businesses have been born from the SAP activity so far. The program has since expanded into Europe in 2016 where it is based in Lund, Sweden. Nimway is the 1st commercial business and the 13th SAP business in total.